All of us at Cheshire Cleaning take pride in what we do, as detail and reliability are important to us. The entire cleaning service is performed according to cleaning specifications that every team member is required to follow. Each crew submits weekly reports and onsite inspections are performed monthly to assure all of the cleaning tasks are completed satisfactorily. Cheshire Cleaning is fully insured and bonded, providing liability and property damage coverage. To assist you in the event of an emergency, we can be reached via telephone 24-hours-a-day. "The overall need is for a clean, well cared for environment, Cheshire Cleaning provides this..."
Call Us at 1-603-209-9735 or navigate to our contact page. 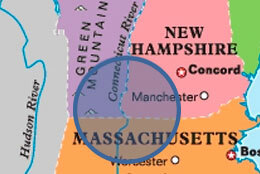 We provide cleaning services in the Cheshire County area, South Western Vermont, and North Eastern Massachusetts. Original graphic design by Kerri Lothrop. Hosted, coded and developed for WordPress by CharlesWorks.